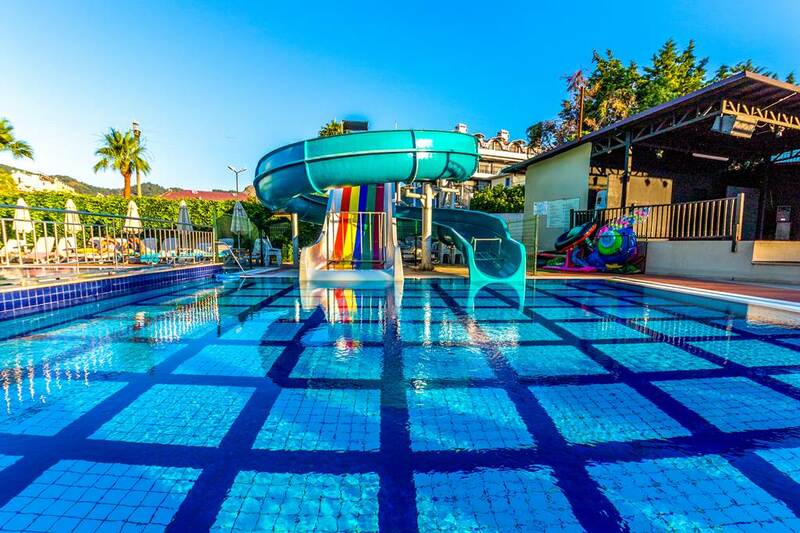 The 4 star Julian Club Hotel on the outskirts of Marmaris offers everything you could want for a fun filled family holiday. 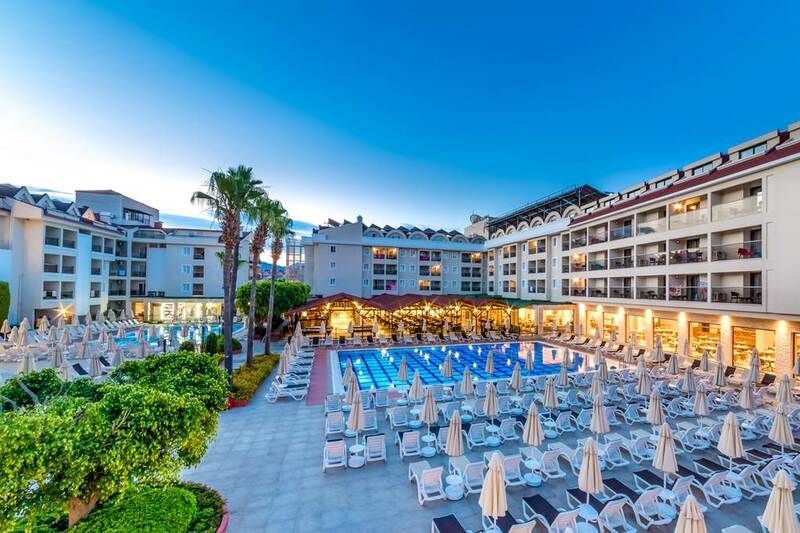 Spend your days chilling out on a sun lounger by one of the two swimming pools or choose the lively main pool and whizz down the waterslides and join in the fun and games. The little ones are not forgotten with their own pool to splash around in, while the older children will enjoy Kids land with its kids park, mini golf, fun and games. Club Julian also boasts excellent leisure facilities, including a Spa & Wellness Centre, water aerobics, water polo, pool and darts. The recently renovated guest rooms are bright, airy and well equipped. 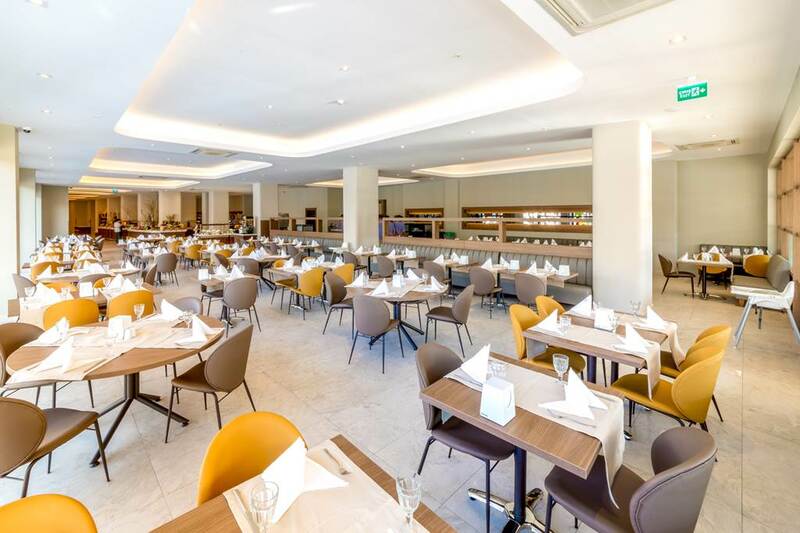 Add in a buffet style dining, an a la carte restaurant, pub, bars and a full daytime/nighttime entertainment programme and its easy to see why Club Julian is a popular choice with families. Julian Club Hotel offers guests a great choice of facilities. 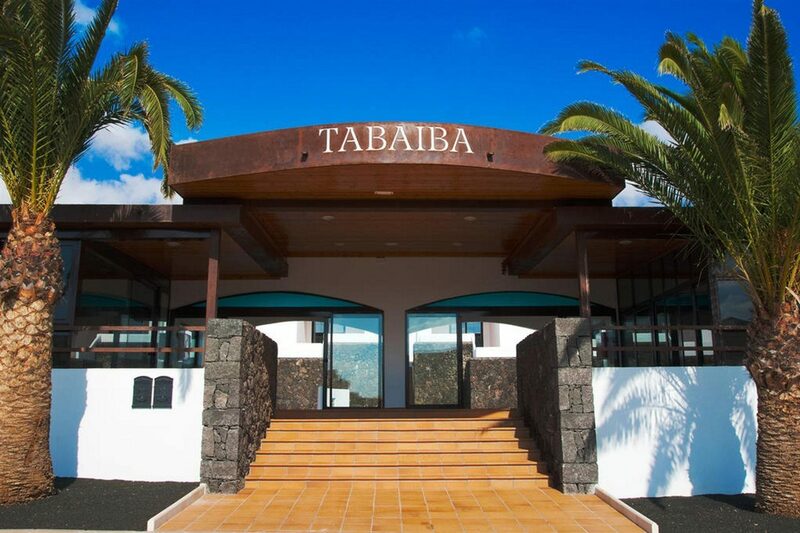 You'll find two swimming pools, a childrens pool, waterslides, spa & wellness centre, 24 hour reception, money exchange, beauty salon, gift shop, jewellery shop, WiFi internet cafe, laundry service and mini market. There's also a resident entertainment team, daytime sporting activities, pool games, childrens club, childrens park and mini golf. 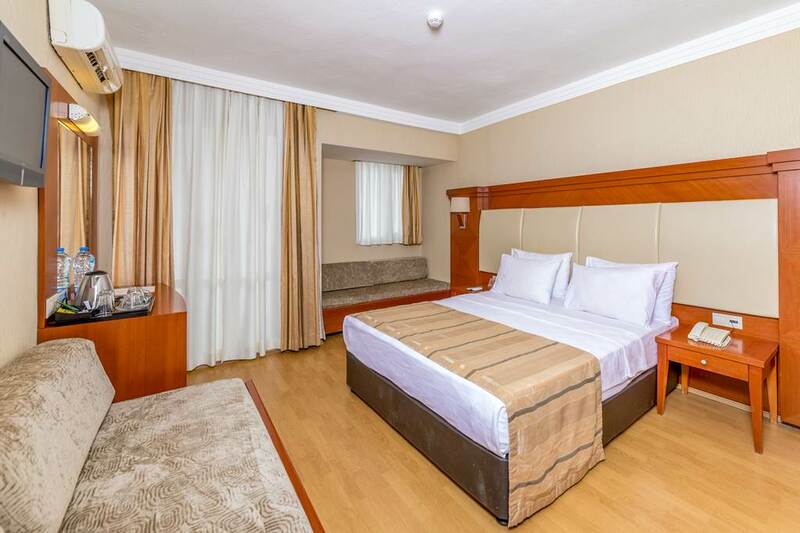 The Julian Club Hotel boasts a total of 256 guest rooms, consisting of Standard Rooms, Family Rooms, Deluxe Rooms, Junior Suites, Penthouse Suites and Family Suites. 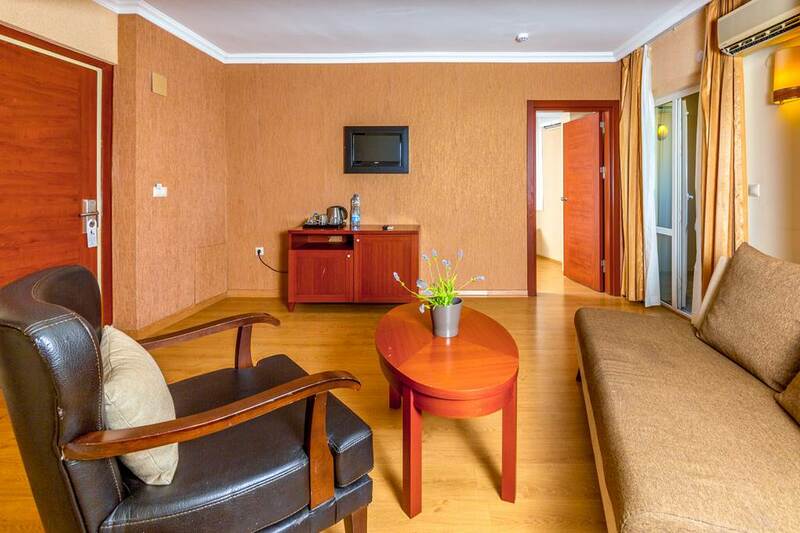 Standard Room facilities include a plasma/satellite TV, air conditioning, safe box, telephone, bathroom, balcony, hairdryer, daily maid service, minibar and tea/coffee making facilities. 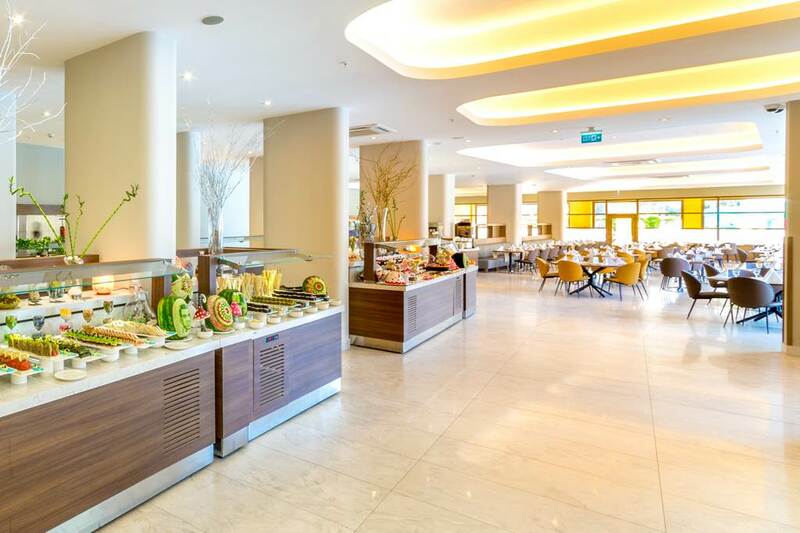 The hotel offers the Julian Restaurant serving a good selection of local and international dishes buffetstyle for breakfast, lunch and dinner. Theres also a pool snack bar for daytime drinks and snacks, the Julian Bar serves tasty cocktails from 10am to midnight and the Drunken Duck Pub is open until the early hours. The outside stage area hosts nightly entertainment, with a mini disco for the kids and professional shows.